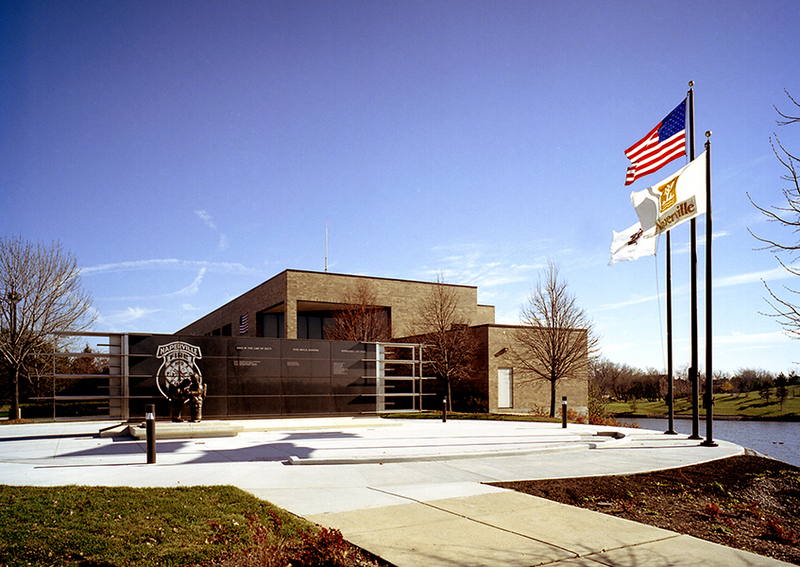 The Naperville Public Safety Memorial Plaza sits in front of the Police Department and Fire Department on Aurora Avenue. 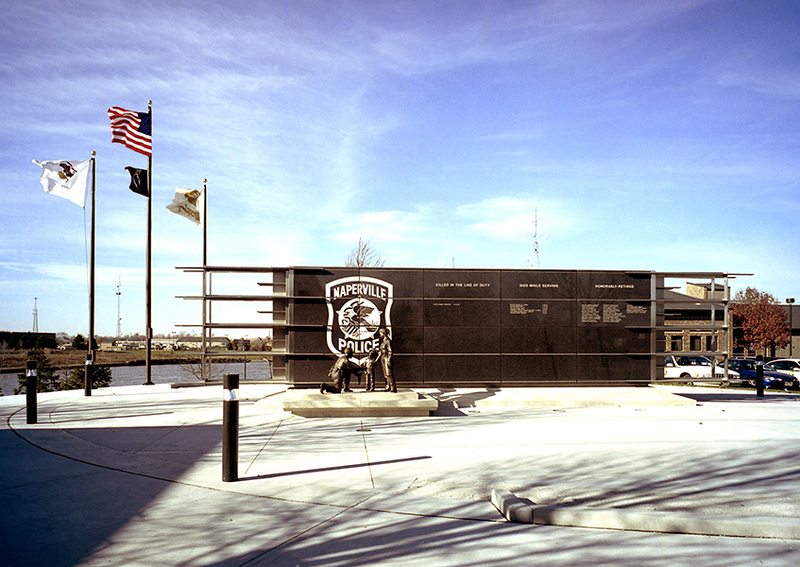 The monument honors police officers on one side and firefighters on the other. The granite bears the names of public safety employees who were killed in the line of duty, who died while serving or who honorably retired from either department. 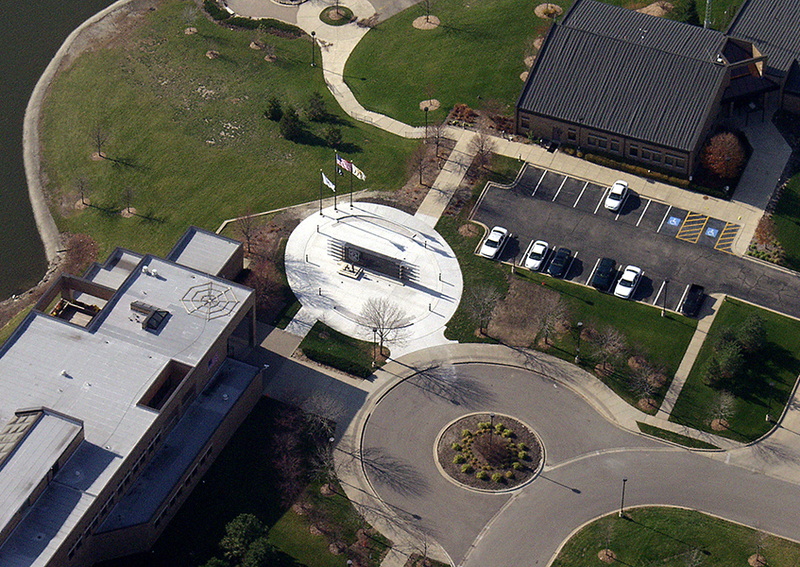 Schramm Construction is privileged to have completed this project, which debuted in 2001.